And now we find out that Jesus said, also, "I came in My Father's Name, and you received Me not." Then, the Name of the Father must be Jesus. That's right. The Name of the Father is Jesus, 'cause Jesus said so. "I carry My Father's Name. I come in My Father's Name, and you received Me not." Then, His Name was Jesus. And Gabriel called Him Jesus, the prophets called Him Jesus, and He was absolutely Jesus. Before His birth, even the holy prophet called His Name Emmanuel, which is, "God with us." Then, "God was manifested in the flesh, in order to take away the sin of the world," and, in doing so, He was given the Name of Jesus. 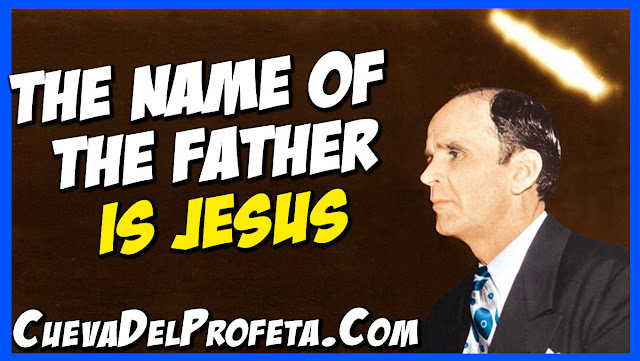 So, Jesus is the Name. And the Name was placed in a Man; not a church, not a denomination, not a creed, but a Man! He chose to place His Name in Jesus Christ. 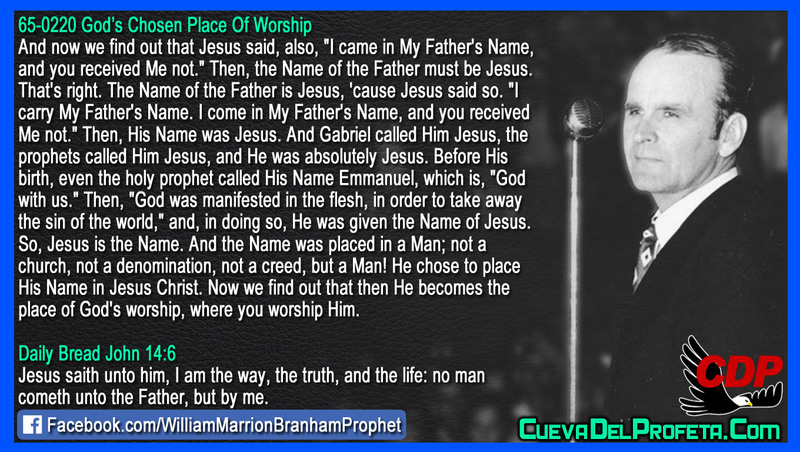 Now we find out that then He becomes the place of God's worship, where you worship Him.